Bong Joon-Ho isn’t an easy filmmaker to pin down. 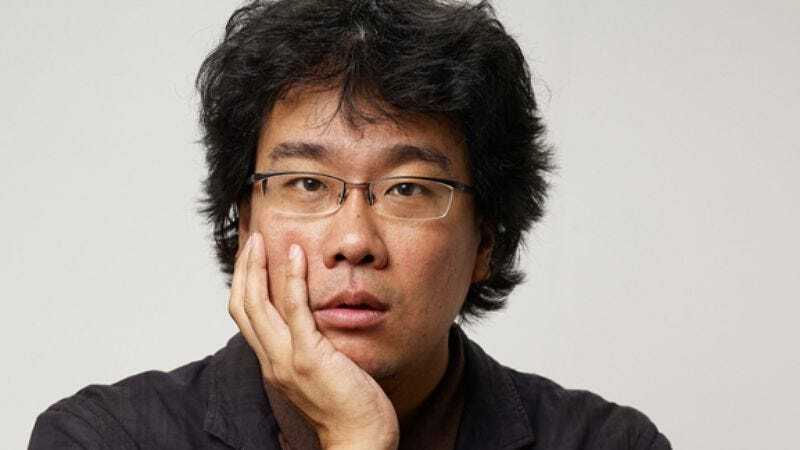 He’s best known in America, and in his native South Korea, for The Host, the offbeat creature feature that became South Korea’s highest-grossing movie ever. But rather than capitalizing on that success by broadening his canvas, Bong followed it up with Mother, his most intimate movie to date. Popular Korean actress Kim Hye-Ja plays a middle-aged single mother whose severely retarded son is accused of murdering a schoolgirl. With the police convinced her son is the culprit, Kim must find the real killer, guided only by her obsessive determination and ironclad faith in her child. Like all Bong’s movies, Mother plays off elements of a genre (in this case, the detective thriller) while diverging from it in unexpected ways, constantly forcing viewers to reevaluate assumptions about what kind of movie they’re watching. Simultaneously a heartfelt tribute to maternal love and a cautionary tale about the dangers of protecting children at all costs, the film takes several twists and turns. Bong recently spoke with The A.V. Club about maternal love and his own urge toward murder. The A.V. Club: After The Host came out, it was rumored that your next project would be Le Transperceneige, the French science-fiction book. You ended up doing Mother. How did you decide on this being your next movie? Bong Joon-Ho: This is the right order. Ever since I worked on The Host, I’ve been working on Mother. I think people might have thought I was going to work on the French comic book because it was first introduced in 2006 at the American Film Market. The plan for me was to work on Mother first. I started working on the script in 2004. AVC: Is Transperceneige still in the works at this point? BJH: When I’m done with Mother, I’m working on the script for the French comic book, so it is in progress. We’re also working on the conceptual art for the comic book as well. AVC: Why did you decide to focus on the relationship between a mother and her child? BJH: Actually, because I was trying to devise a plan to work with Kim Hye-ja. When I started thinking about making my next film after Memories Of Murder, I thought about Kim Hye-ja because I’d grown up watching her on TV. So the conception of the movie came about at the end of 2004. I started thinking about the movie even before I made The Host. I’m not sure if you remember, but in The Host, there isn’t any mother character. So you can almost see that movie as a reaction to Mother. AVC: Both Mother and Memories Of Murder share the broad outline of a character trying to figure out who murdered someone, but Mother is almost an inside-out version of the earlier movie. In Mother, the character doing the investigation is not a detective, and in the end, she might be better off not finding out. How do these two films relate to one another and the detective procedural? BJH: These two movies may have a lot of things in common, but as you go deeper inside into the movie, I think it’s actually the opposite. Memories Of Murder, its situation and the process of trying to find the actual murderer, it portrays 1970s South Korean darkness and social behaviors. Whereas in Mother, it’s more like the mother becomes a black hole in which the individuals around her get sucked into this particular incident and symbol. AVC: Kim Hye-ja is known for playing mother roles in Korean film; you’ve called her the spiritual mother of South Korea. Was she attracted to this movie as a way to undermine that image? BJH: I first proposed the idea to Kim Hye-ja in 2004, and I was actually very nervous about it, because she’s always played the warm and loving mother role. Four days after the first conversation I had with her, she started reading the script and admitted that there was a side of her that is very much like the character in the movie Mother, and she suggested that she wanted to go more extreme and approach this role as a young junior star starting out. AVC: The mother has, in a sense, been protecting her son since childhood, given his mental retardation. Do you think her violent actions are ultimately an outgrowth of her protective characteristics? BJH: I think you could generalize all relationships as such, but this mother and son had the most intimate relationship. In the movie script, there is actually a line where the mother looks to the son and says, “You are me.” They’re almost presented as one body. In the destructive ending, I wanted to just show one facet of the social reality. I think when one becomes very close to another person, it can mean loving and intimacy, but on the other hand, there’s also the danger of one destructing another under the name of love. I think that is the scariest thing for me in various relationships. AVC: In one flashback, the mother attempts to poison her son, either to put him out of his misery or because she can’t bear caring for him. That throws the murder he’s accused of in quite a different light. BJH: I think it is true that there is an irony between their relationship. I think you’re right. There’s an unconditional love the mother has for her son, and she also says “Fight back if somebody hits you or calls you names.” That unconditional love can lead him to commit murder. There’s something very violent to me, because I often wonder what it means to love a person. It’s an obsession or a desire to control her son. So there’s a scene where the son pees on the wall and she takes care to clean up after him, and then right at that moment, you have a flashback from the past where the mother tries to feed him the pesticide. I wanted to show the complexity of different sides of the love. AVC: I think a lot of parents would kill to protect their children, although obviously most don’t act on that impulse. BJH: [In English.] Many Korean mothers among the audience also react like that. [To translator.] If anybody hurt my child, I would have wanted to kill him or her. I also have a 14-year-old son, and I also have that urge to protect him and kill anybody who ever hurt him, but in my case, I think I would make sure that I clean and wipe up all the evidence afterward to commit a perfect murder.